The following is an extract from Karen Muir’s new year message to members as published in NorSCA News. 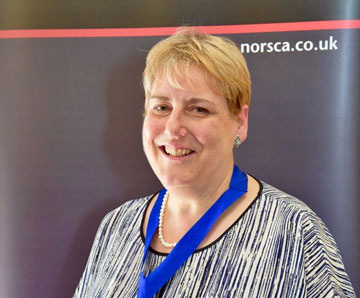 Karen is President of Northern Society of Chartered Accountants. My year as President seems to be racing by, I am just over half way through and I am really enjoying my term of office. Thanks to everyone who attended the Northern Society Business and Awards Dinner in October. I hope you all enjoyed it, especially our guest speaker Steph McGovern. I attended the District Society Office Holders’ Conference in September where ICAEW outlined their current priorities. • General Data Protection Regulation (GDPR) – compliance with new rules when they come into force in May 2018. Members need to evaluate whether their existing practices and procedures (and those of their clients) will meet the new standards and plan how they will address any shortcomings. There is a lot of useful information and guidance on the ICAEW website to help members prepare for this. There is currently a Members Working Party looking at District Societies and their role in the 21st Century and how they can work more collaboratively with the ICAEW to help deliver services to members. A large part of the conference included breakout sessions where these issues were discussed with fellow office holders and the results fed back to Fiona Wilkinson (ICAEW Vice President) who is leading on this work. There is a further DSOH conference in February where hopefully we will be brought up to date with the results of the review the Members Working Party is undertaking. One thing I have discovered whilst attending conferences and events with my fellow District Society Presidents is that the Northern Society is one of the more active societies in the country engaging with local members through all stages of their professional lives. This is due to all the volunteers and members of the various committees across our region, from the students’ societies and branch committees to the retired members group. We are always looking for ways in which we can support our members so please don’t hesitate to contact any of the officers of NorSCA and the various committees if there is something you would like to see us organise in your area. Finally, after 17 years, our ICAEW Regional Director Keith Proudfoot retired at the end of the year. The recruitment process for his replacement is underway but I would like to take this opportunity to once again thank him for all of the work he has done for Northern Society, our members and our business communities over the years. I am also delighted that Keith has assumed the office of Vice President of Northern Society of Chartered Accountants. Welcome to the NorSCA Presidential Team Keith!